Do you know what they say because I for sure don’t. But these little blue and pink aliens can only come in peace. This t-shirt is just cute with 3 creatures we don’t understand on it. It is almost like real live where we don’t get most of the people we run into on a daily basis. 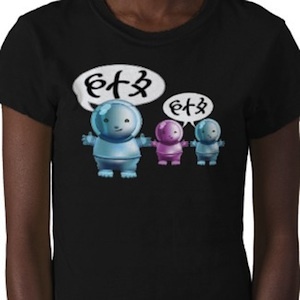 Look no further for proof and order your Cute Aliens T-Shirt.